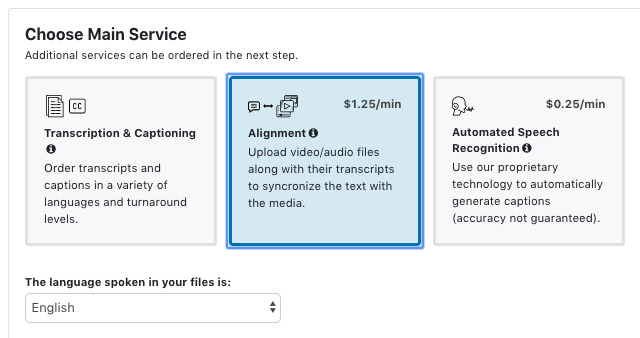 If you already have transcripts for your video/audio files, transcript alignment is a faster and less expensive way to create captions and/or use the 3Play Media interactive video plugins. - A pre-existing transcript of the video/audio file in an unformatted plain text (.TXT) format. See information about 3Play Media's suggested best practices to achieve the highest quality results when using this service. DO NOT submit songs, music etc. This process is intended for speech not singing. Note on alignment turnaround time: A turnaround time cannot be assigned to a transcript alignment request as this process is 100% automated. Files will usually be completed within a few hours and almost always by the next business day. For files greater than 1 hour, the alignment will likely be complete by the next business day. Factors that impact the turnaround time of an alignment request are the duration of the media file and our capacity at the time of upload. 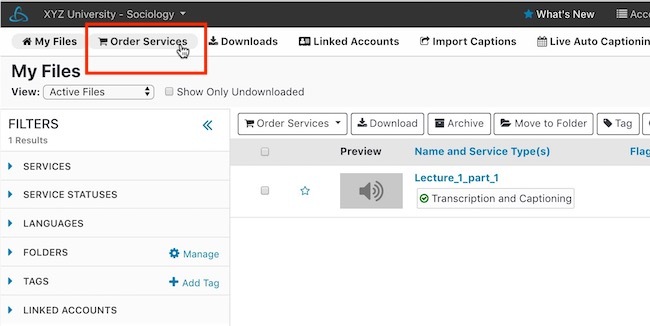 For users new to the transcript alignment process it is suggested to set up the alignment review tool before submitting transcript for alignment. 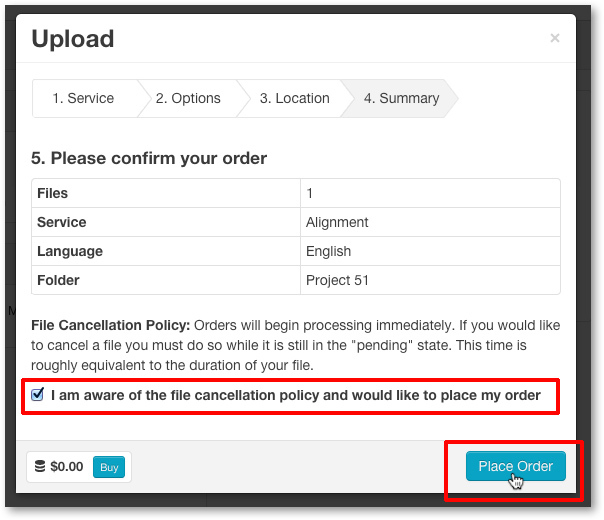 Check the box Add Caption Placement under Add-On Services to also include this in the order. See more information regarding vertical caption placement. By default English will be selected. Choose from the list of languages that the video/audio file is in. After confirming the language, click Continue. Once you have checked the box, click Place Order. First the media file/s will upload. 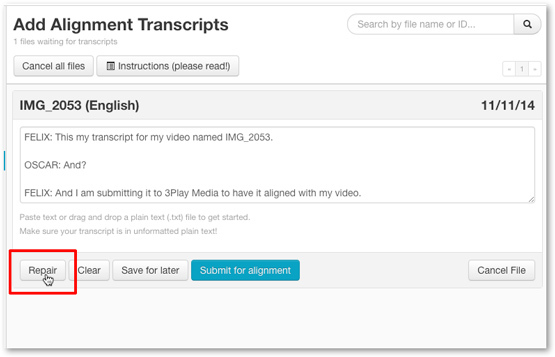 After they are uploaded you will be directed to the Add Alignment Transcripts page where you can either paste text or drag and drop a plain text (.txt) file into the box that corresponds to the media file. Dragging and dropping a .txt file is the preferred method. 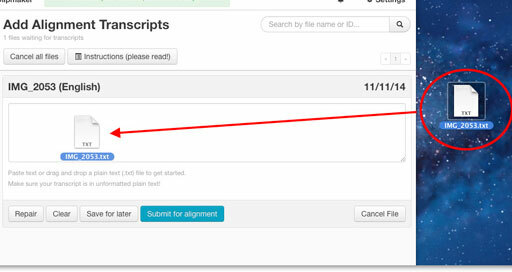 If you are submitting more than one file for alignment, be sure you are adding the correct transcript to the corresponding text box. There will be a text box for each media file you chose to upload in step 3. The media file's name will be located on the top, left-hand corner above each box.